Sometimes the best beauty treatments are the simplest—a one-ingredient facial or DIY toner can be surprisingly effective. That's why one of our favorite beauty treatments is oil. Before there were expensive creams and over-the-top serums, people were using natural plant oils to keep their skin silky smooth and moisturized. 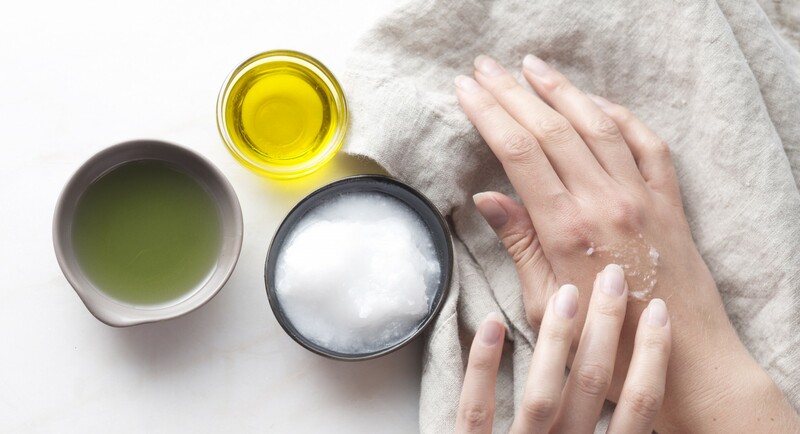 Ready up on a few of our favorite beauty hacks using oils. It seems counterproductive, but fighting oil with oil can be effective. Use a dollop of grapeseed or jojoba oil, and massage it into your skin. Wipe off oil with a hot, wet washcloth. Your skin will feel clean, refreshed, and soft. Use a teaspoon of coconut oil as a natural alternative to moisturizer. It’s gentle enough that it won’t cause breakouts, but it will still leave your skin soft and supple. Mix together almond oil and sea salt for a gentle scrub, or try this version with epsom salts. Make sure the consistency is gentle enough that the salts won't hurt your skin. Slather this mixture all over your body in the shower. You can also use this DIY scrub to exfoliate your lips! Plop some coconut or olive oil into your hair, and let it absorb for 5 to 10 minutes. Rinse it out with some shampoo. This treatment will leave your hair tangle-free and extra shiny. Heat up a small amount of olive oil in a saucepan, and pour the hot olive oil into a dish. Let it cool down until the olive oil is warm, but not scorching. Dip your nails into the oil and let them soak for 5 to 10 minutes. The olive oil strengthens your nails and gives them a brilliant luster. Consider doing this every time you remove nail polish—both nail polish and acetone polish remover can leave your nails dry and depleted of nutrients.